Two University of California – Davis students seeking their doctorate degrees have received $15,000 W.D. 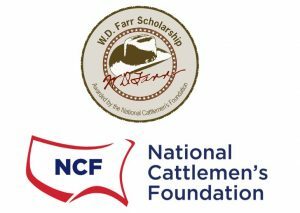 Farr Scholarships for 2018-19 from the National Cattlemen’s Foundation. Emily Andreini and Sarah Klopatic have each received the award, which recognizes superior achievement in academics and leadership. The scholarships were presented Feb. 1, 2019 at the Best of Beef Breakfast during the 2019 Cattle Industry Convention & NCBA Trade Show in New Orleans, La. Andreini grew up on a beef and sheep ranch in northern California, where she developed a strong work ethic and time management skills. She attended Oklahoma State University, where she received a Bachelor of Science degree in animal science and agricultural communications. She was also involved in numerous campus activities and organizations, including serving as rodeo team president and as student assistant for various research projects. She went on to pursue a Master of Science degree at OSU, focusing on the evaluation of an enteric methane emissions measurement system for cattle. Andreini’s research area involves the improvement of beef production efficiency to maximize production with limited resources while reducing environmental impacts. Klopatek received her Bachelor of Science degree in animal science from the University of Arizona in 2013 and her Master of Science in animal science from Texas A&M University in 2016. Her research area of interest involves beef cattle sustainability with emphasis on economics, sociology, resource use and meat quality. The recipient of numerous awards in her academic career, including a James Beard Research Fellowship and an International Livestock Congress Student Scholar Award, Klopatek has served as a teaching assistant, guest lecturer and research assistant on many occasions. She plans to utilize the scholarship in ways that will allow her to devote necessary time to complete ongoing research projects. The annual W.D. 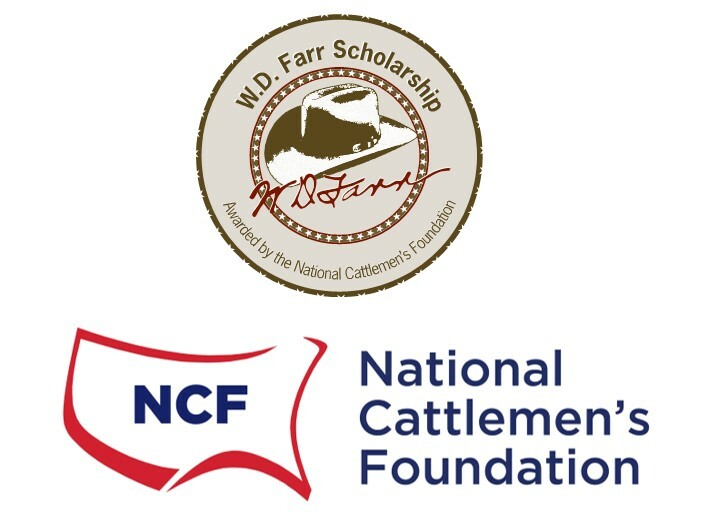 Farr Scholarship awards were established by the National Cattlemen’s Foundation in 2007 to recognize outstanding students who plan to pursue careers in meat science and animal agriculture. Twenty outstanding applications from graduate-level students in universities across the country were received this year. W.D. Farr was the first president of the National Cattlemen’s Foundation, and served as president of the American National Cattlemen’s Association, which would later become NCBA. His career spanned 75 years and included innovations in cattle feeding, uniform beef grading, water conservation and banking. Farr died at age 97 in August 2007.